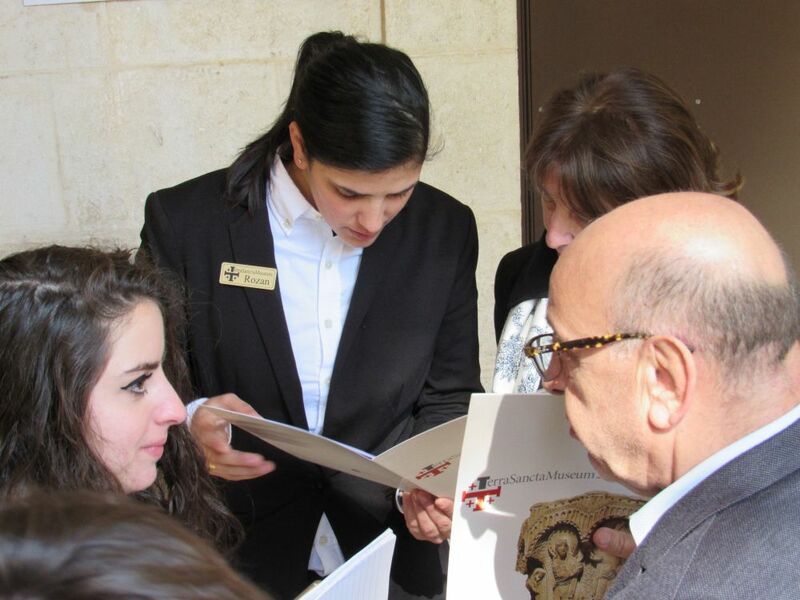 home / Multimedia / The Holy Land in news / Terra Sancta Museum on the Via Dolorosa, because “no one ..
“Before I started working here I did not know anything about the Via Dolorosa, I didn’t even know what Convent of the Flagellation was…” Christine tells us. She is a 24 year old Christian from the Old City. She has been working for the Terra Sancta Museum for some few months now. We talk for a while, waiting for today’s event: a presentation of the multimedia section of the museum to the tour operators in Jerusalem. Yes, “it is necessary to renew the invitation to everyone” Clara from the Association pro Terra Sancta tells us; she is head of management and promotion for the museum. No one, not even the locals are aware of the history of this city and of the value of this street, the Via Dolorosa, on which thousands of pilgrims walk every day. When the tour operators arrive the director, Fr. Eugenio Alliata, gives a short introduction of the place we are in. The show is 15 minutes long; it tells the story of Jerusalem and then that of the Via Dolorosa. “Beautiful,” one of the guides says at the end of the show, “I have seen many shows like this one, but this is truly remarkable”. Clara explains to them that this is only the first section of the museum, two more are under construction. “We have started to organize visits for schools in October” she adds. “As a matter of fact, the show is not only for pilgrims… Actually I would say that it is primarily for locals.” To date almost 20,000 visitors have come to see the museum, 509 of these are students, both Christians and Muslims. While leaving the Convent of the flagellation, a boy rushes up pulling a cart along the Via Dolorosa, the “Way of the Cross” of Christ. It would be nice to stop him too and let him know about this piece of history that is also his. 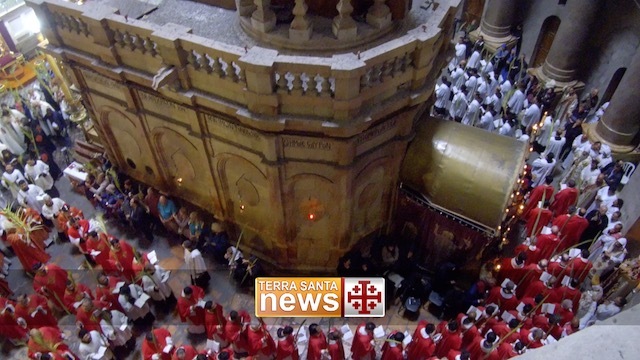 Find out more about the Terra Sancta Museum!